New Maple Cabinets With Two-Piece Crown Molding. Here is a kitchen remodeling job competed by Craftsman Contracting. On this project we were focusing on cabinets and carpentry. In the above picture you will see custom maple cabinets. These cabinets feature a full-overlay door, meaning the door completely covers the cabinet box. The style of these cabinet doors is referred to as raised panel. The cabinet door is made up of 5 components. Two side pieces, known as stiles, the top and bottom piece, known as the top rail and bottom rail, and the center piece, which is the raised panel. Above the cabinets, you will notice an elegant feature which provides the finishing touch to the whole kitchen, and that is the crown molding. This kitchen remodel features a two-piece crown molding. The first piece is called a frieze board, and that is the flat board with the beaded edge detail along the bottom. Applied on top of that, and terminating at the ceiling, is the crown molding. Aside from looking great, this detail also eliminates the dust shelf which always results when cabinetry does not terminate at the ceiling. This next picture, highlights the beauty which can be achieved when your kitchen renovation is completed using competent installers, such as here at Craftsman Contracting. Attention To Detail Is What Craftsman Contracting Prides Itself On! 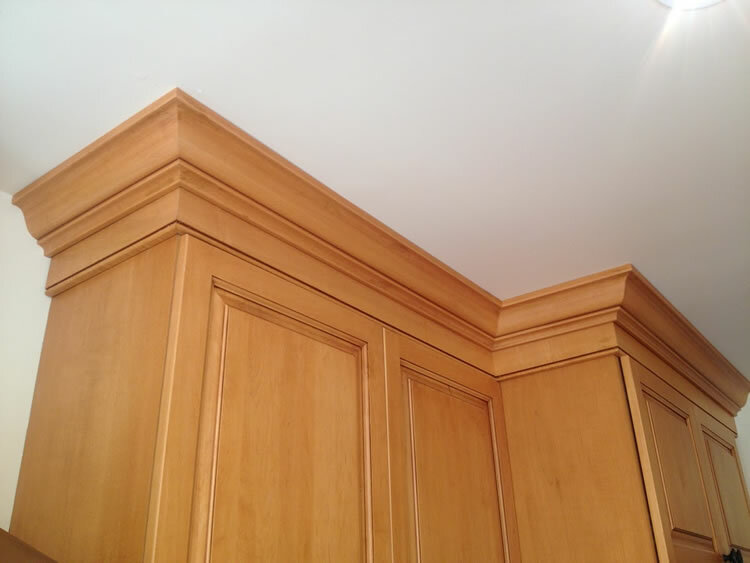 Notice how along all the inside and outside corners of the crown molding that not only are the miters perfectly cut and assembled, but that the grain of the wood also matches from one piece to the next, giving the look of one continuous piece of crown molding running from end to end. It’s the details that separate a sub-par home remodeling project from a great one. This is especially true with a kitchen renovation. Are You Ready To Start Planning Your Kitchen Remodeling Project? 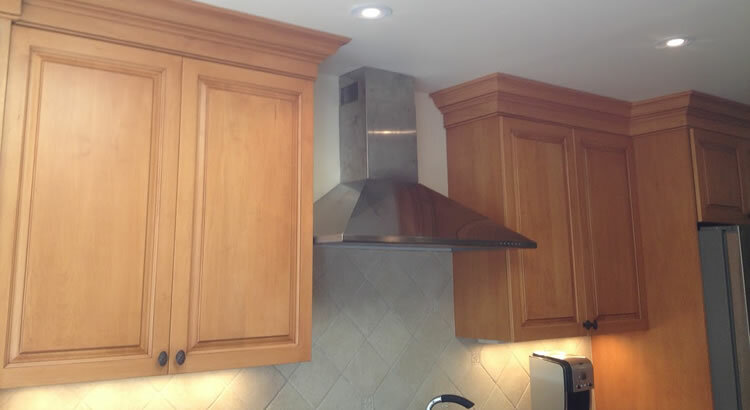 At Craftsman Contracting, we believe your kitchen remodel deserves the best, and we’re prepared to deliver. We at Craftsman Contracting pride ourselves on our attention to detail, ensuring the highest level of quality in everything we do when we work on transforming your kitchen. A professional kitchen remodeling project relies on careful planning, good communication, precision & accuracy, and the contractors ability to execute the plan you’ve all agreed on without excuses. If you’d like to schedule a consultation to discuss your kitchen remodeling project please call (203) 642-3343 or fill out our contact form and we’ll get right back to you.